According to necn affiliate WJAR, the fight happened on Sept. 12 on Balcom Street. 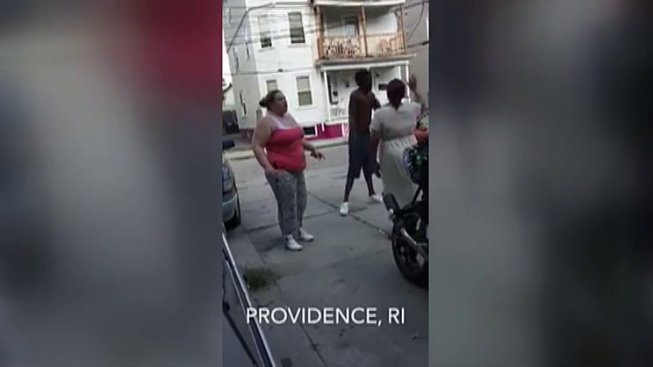 Two men have been arrested following a fight that involved a sword which was caught on camera in Providence, Rhode Island, according to police. In the video, one man is seen wielding the sword, one man is laying on the ground and two women are also involved in a scuffle. The man holding the sword, David Thomas, 45, was arrested with disorderly conduct. Another man allegedly involved, Luis Ruiz, turned himself in Tuesday.